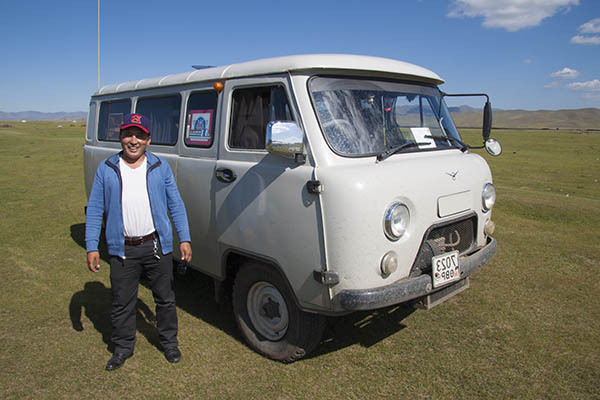 You will quickly discover that your driver is one of the most important persons for the success of your tour in Mongolia! Outside Ulan Bator, a 4x4 vehicle is essential, paved roads are rare. The tracks are often made of clay and sand, forcing to slow progression. Distances are measured in hours, but the beauty of the landscapes is an integral part of the trip. 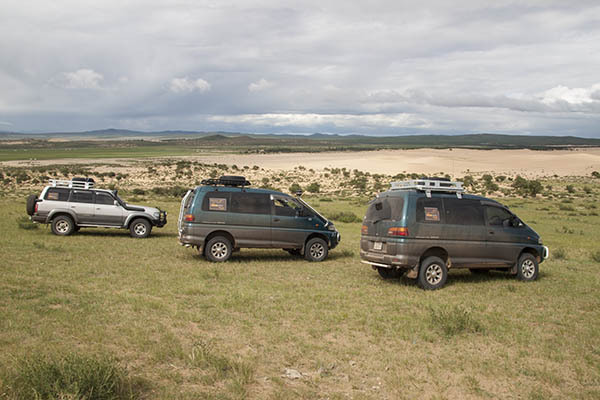 The 4x4 you will find in Mongolia are essentially a kind of Russian mini-van, quite rustic but "effective" in this harsh environment for machines! For small groups (2 or 3 persons), Japanese 4x4s are also available. Book your flight as long as possible in advance (ideally 6 months), because the tourist season is short, mainly between July and August, and the best rates for travel in this period are full of months in advance. Domestic flights are operated by Aero Mongolia & Hunnu Airways. The Transmongolian is a rail line linking Ulan Ude in Russia on the Trans-Siberian railway, to Beijing China, through Mongolia via Ulaanbaatar. The line was built between 1949 and 1961. The distance is 1520 mm in Russia and Mongolia, and 1435 in China, which implies a long stop at the border to accommodate the trucks.